A Swiss by birth, but American in competition, Frank Haubold was an inaugural member of the USA Gymnastics Hall of Fame. He competed in three Olympic Games, one of which he medaled and led the U.S. Team in points scored. 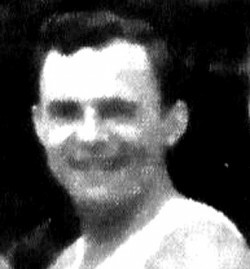 He and his wife, Irma, even competed as a husband-wife team in the 1936 Games in Berlin. Haubold also had a decorated career competing for the Swiss. He went on to judge and serve as a Swiss AAU delegate.